The Ultimate I Ching Reader, this program facilitates the use of the I Ching (or the Book of Changes), an ancient Chinese classic text, as an oracle. The process of consulting it in this way involves determining the hexagram by a method of random generation and then reading the text associated with that hexagram. 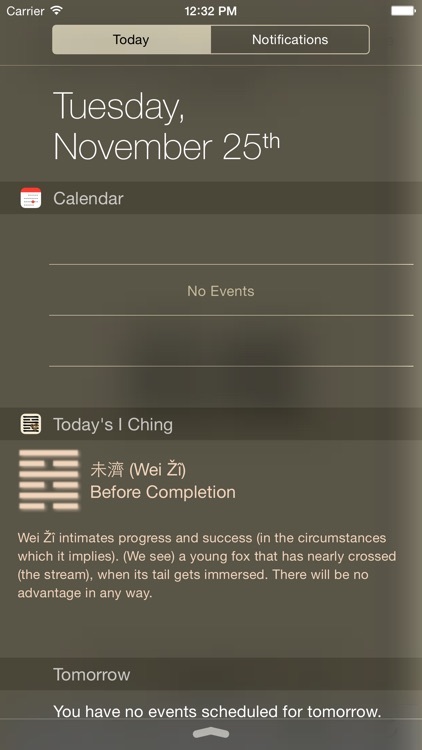 The I Ching in itself and the program are localized in English, Italian, French, German and Spanish so that (almost) everyone can easily access the Oracle. 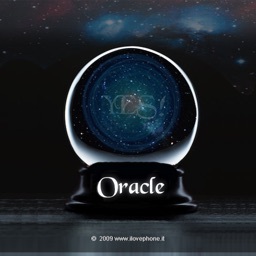 The program, with an easy and streamlined interface will allow you to consult the Oracle for your important (or not important) decisions when you cannot make your mind. 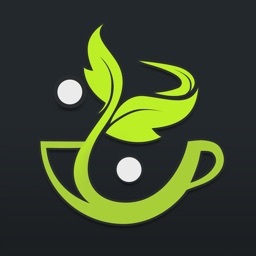 The result can be saved with a title and/or can sent via email to a friend or to yourself for later reading. The program will permit also to browse signs and lines as in the original book to allow meditation and lateral thinking. In this excerpt from the wonderful book of Douglas Adams "Mostly Harmless", simply substituting 'I Ching' to 'Astrology' and 'coins and signs' to 'stars and planets', you'll get a very good description of what I Ching is. 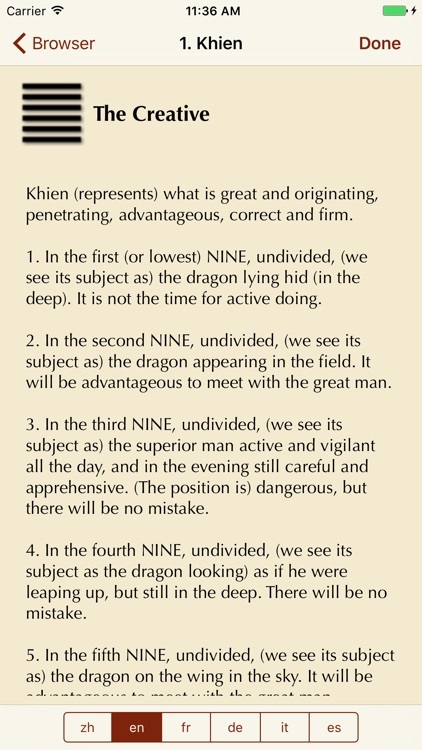 "In I Ching the rules happen to be about coins and signs, but they could be about ducks and drakes for all the difference it would make. It's just a way of thinking about a problem which lets the shape of the problem begin to emerge. The more the rules, the tinier the rules, the more arbitrary they are, the better. It's like throwing a handful of fine graphite dust on a piece of paper to see where the hidden indentations are. It lets you see the words that were written on the piece of paper above it that's now been taken away and hidden. The graphite's not important. It's just the means of revealing their indentations. 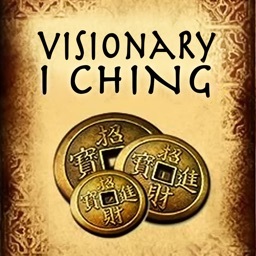 So you see, I Ching's nothing to do with coins and signs. It's just to do with people thinking about people". 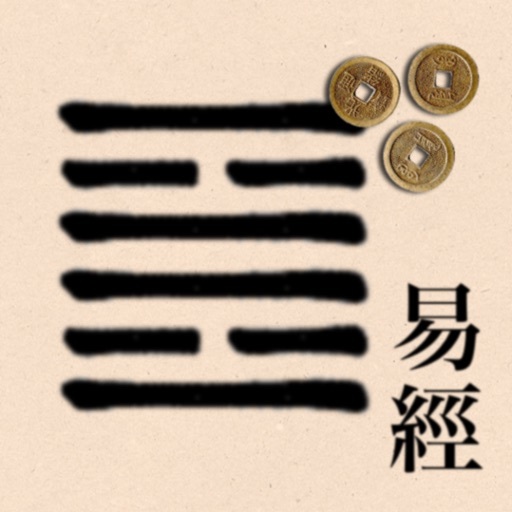 The fact that the book track his history to more than two thousand years ago and it is one of the most important books of ancient Chinese culture add to the meaning of it as "way to find what you think". 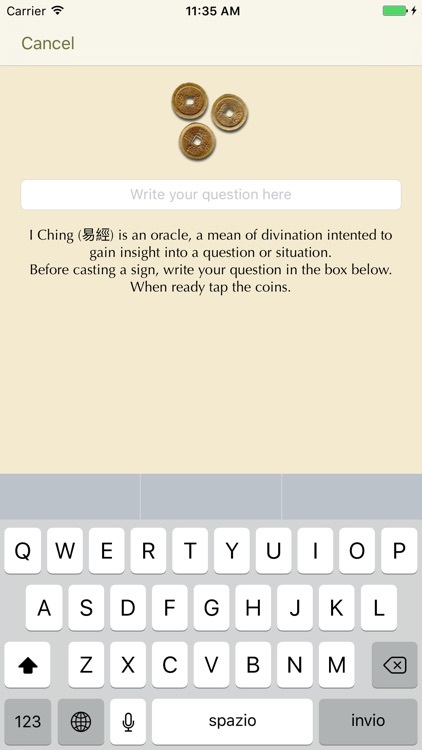 The program simulates the casting of three coins for six times and then determines the corresponding hexagram. The "Sign" is the resulting hexagram, with the "changing lines", the lines that are changing from one state to the other. 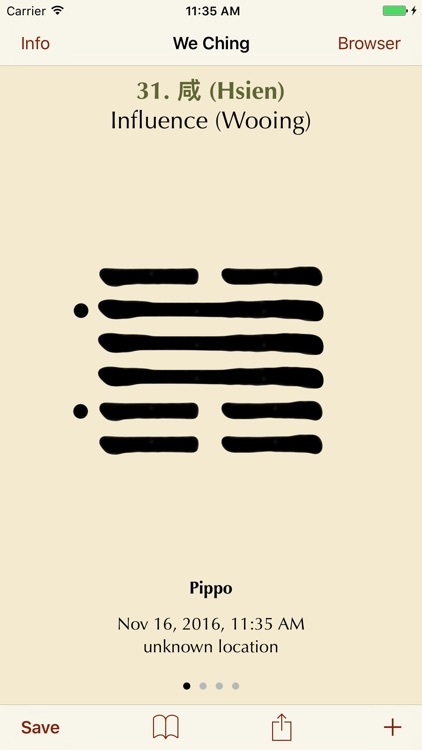 The text related to this hexagram will represent "the Present", the actual state of the thing. Once a hexagram is determined, each line has been determined as either changing (old) or unchanging (young). Any line in a hexagram that is old ("changing") adds additional meaning to that hexagram. Those are "the Mutations", the changes that are happening. 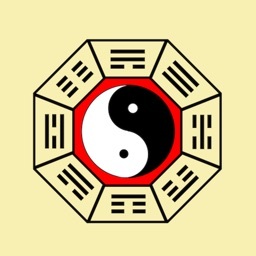 Taoist philosophy holds that powerful yin will eventually turn to yang (and vice versa), so a new hexagram is formed by transposing each changing yin line with a yang line, and vice versa. 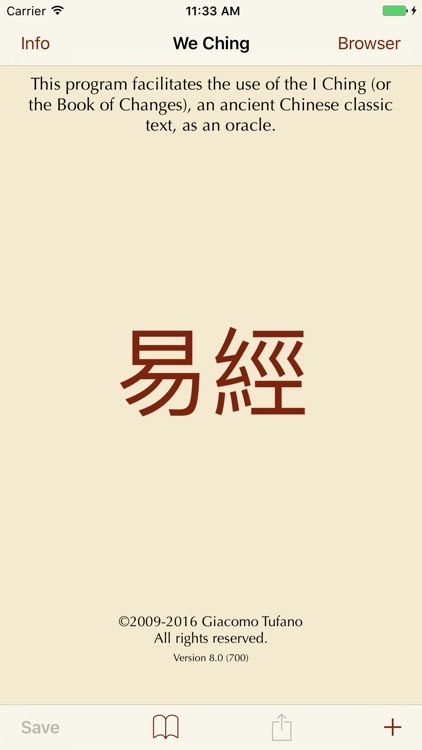 Thus, further insight into the process of change is gained by reading the text of this new hexagram and studying it as the result of the current change. This second hexagram is "the Future" and represents the resulting state after the current change.